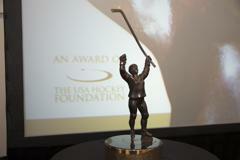 COLORADO SPRINGS, Colo. – USA Hockey announced today that NHL Network will televise live the 2019 Patty Kazmaier Memorial Award Ceremony with Jackie Redmond, NHL Network studio host and reporter, serving as the master of ceremonies. It marks the first time that the award ceremony will air live in the U.S. on television in its history. 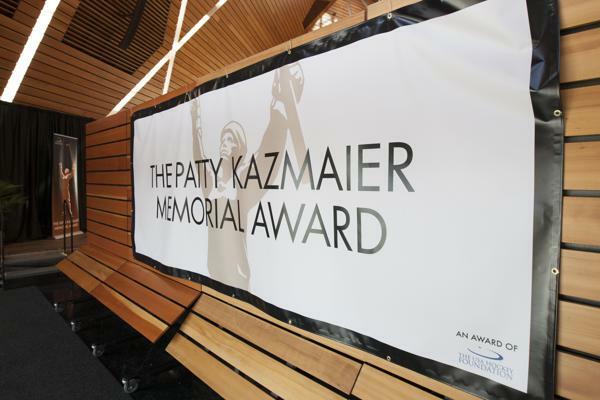 The 2019 Patty Kazmaier Memorial Award will be presented at a brunch ceremony at Cascade Fine Catering in Hamden, Conn., on Saturday, March 23, as part of the NCAA Women's Frozen Four weekend hosted by Quinnipiac University. The live broadcast of the ceremony will begin at 12:30 p.m. ET. 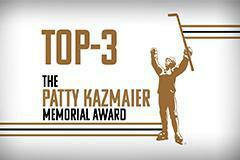 NOTES: Senior forward Loren Gabel (Kitchener, Ont./Clarkson University), senior blueliner Megan Keller (Farmington Hills, Mich./Boston College) and senior forward Annie Pankowski (Laguna Hills, Calif./University of Wisconsin) have been named the top-three finalists for the 2019 Patty Kazmaier Memorial Award ... Tickets to the 2019 Patty Kazmaier Memorial Award Ceremony and Brunch can be purchased at PattyKaz.com. Individual seats to the event are $65, while tables of 10 are available for $600. A select number of sponsorships and program advertisements are also available.